Event organized by Sister Cities Intl., in conjunction with DC Wharton, City and Tower Clubs. Join us - and SIGN UP EARLY - for fascinating event. This event WILL sell out early. From October 1983 until November 1985 he served as a conscript in the Hellenic Navy. In October 1986 he joined the Hellenic Foreign Service and until September 1990 he worked in various positions at the Ministry of Foreign Affairs, Athens. From October 1990 until November 1994 he was Consul at the Consulate General of Greece in Sydney. In December 1994 he was transferred to the Embassy of Greece in Ankara, where he served initially as First Secretary and subsequently as Counselor for Political and Economic Affairs until the summer of 1998. From July 1998 until July 2000 he directed the cabinet of Dr. P. Roumeliotis, European Union Coordinator for the Royaumont Process for Stability and Good Neighborliness in South East Europe and, subsequently, Chairman of the Working Table on Democratization and Human Rights of the Stability Pact for South East Europe. From August 2000 until August 2004, he served as Counselor for Political Affairs at the Embassy of Greece in Washington. In August 2004, he assumed duties as Consul General of Greece in Alexandria, Egypt. He served in Alexandria until the end of July 2007, whereupon he was transferred to Athens. In August 2007, he became Deputy Head of the Diplomatic Cabinet of the Minister of Foreign Affairs. From January 2009 to March 2010, he was the Head of the CFSP/ESDP Department at the Ministry of Foreign Affairs. 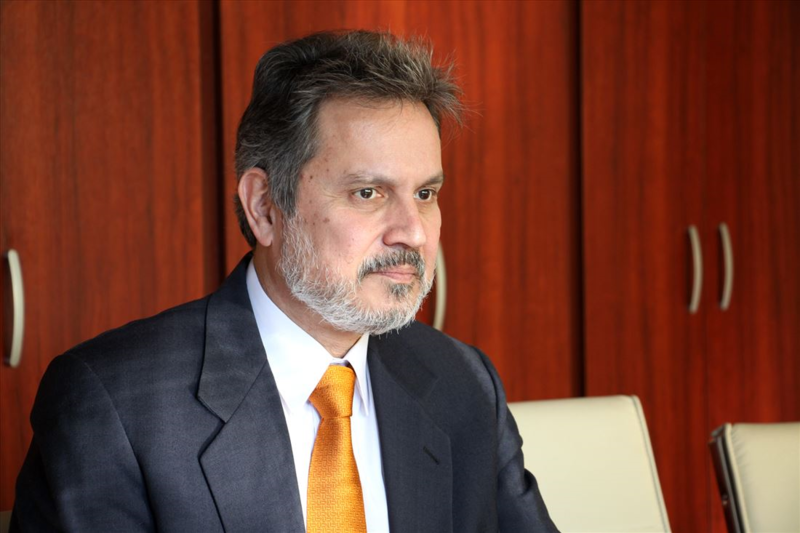 In March 2010 he was transferred to the Embassy of Greece in Ankara as Minister-Counselor and Deputy Head of Mission. From April until December 2012, he was heading the Embassy as Charge d’ Affaires a.i. In January 2013, he assumed duties as Ambassador and he was the Head of the Liaison Office of the Hellenic Republic in Skopje until May 2016. Mr. Lalacos is married to Anna Michalopoulou. They have two children, Errikos and Myrto, 25 and 23 years old respectively.